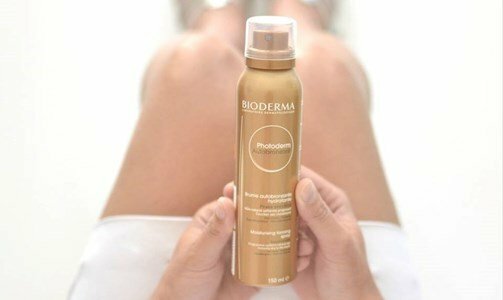 In a practical use, Photoderm Autobronzant is a multiposition instant drying spray, which allows a perfect application and provides a uniform and lasting tan without sun exposure. Uniform and long lasting tan! Self-tanning mist that you can acquire a natural, even tan gradually, without exposure to the sun. Provides rapid and sustained natural tan in harmony with each type of skin tone (no orange color). The unique formula of Photoderm Autobronzant ensures lasting hydration. Depending on your skin type, intensity of sunlight (season, time of day) and geographic conditions (altitude, latitude), Photoderm range offers the appropriate solution for all specific needs in order to protect your skin against the dangers of the sun. Spray uniformly holding the bottle at 20 cm from the skin. Photoderm Autobronzant does not protect from the sun. If sun exposed, the application of a sunscreen is essential. The search for healthy and beautiful tan no longer needs to be dependent on the sun! Vita Liberata, specialist in sunless tanning provides a wide range of products that make you in the true bronze goddess, all year-round!